Level 10 Construction has completed building a new 16,500-square-foot habitat for Asian leopards at the San Diego Zoo. The exhibit, which opened in June, replaces the leopards' former Cat Canyon home and connects with the existing Panda Trek Exhibit to the north. The Asian leopard habitat was designed by Architects Mosher Drew. 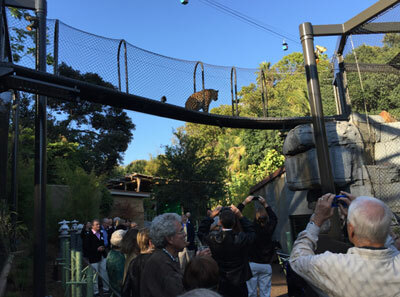 The $2.8 million habitat has four separate exhibit areas with enclosed overhead passageways above the visitor walkways, allowing the leopards to climb up high and cross between habitats. Each habitat is in a separate enclosure built of structural steel and enclosed with stainless steel wire mesh. A central viewing path bisects the four habitat areas. The four habitats showcase the leopards in a naturalistic setting, featuring rock outcroppings, slopes with felled trees and shrubs, and terrain similar to their native environment. In addition to the construction of the four new distinct habitats, Level 10 Construction's scope of work for the Asian Leopard Exhibit included the demolition of existing exhibit space, relocation of existing utilities, installation of new underground utilities, and construction of three structures for animal management and animal holding. Level 10 Construction self-performed all the structural concrete to drive the schedule and maintain the highest level of quality. Level 10 Construction practiced Lean Last Planner and worked closely with over a dozen stakeholders each week to make sure that their needs were integrated into the design and the construction schedules. Level 10 Construction also completed the Mountain Lion exhibit at the San Diego Zoo in 2014. 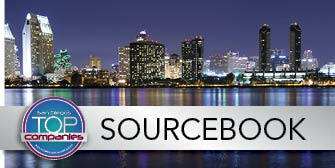 "Based on our experience, our team understands the importance of a sound project execution strategy that addresses the uniqueness of working in a zoo environment and the expectations for change," said Mike Conroy, vice president of operations for Level 10 Construction's San Diego office.